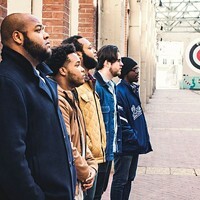 2015 RVA Holiday Events: What to Do Between Thanksgiving and New Year's | Night and Day | Style Weekly - Richmond, VA local news, arts, and events. For updated events listings, check the Style Weekly Events Calendar. The Great Thanksgiving Giveaway with food, prizes, contests and holiday specials at Regency Square. 6 p.m.-midnight. 754-4728. shopregencysqmall.com. The Illuminate Light Show and Santa’s Village brightens up the holidays nightly, 5:30-10, at the Meadow Event Park. Through Jan. 2. 994-2800. illuminatelightshow.com. Get your Santa skate on every day of week (except for Christmas Eve and Christmas Day) at the Ice Rink in Short Pump at West Broad Village. Though Jan. 18. westbroadvillageicerink.com. “Forever Plaid: Plaid Tidings” is running at Swift Creek Mill in Chesterfield. 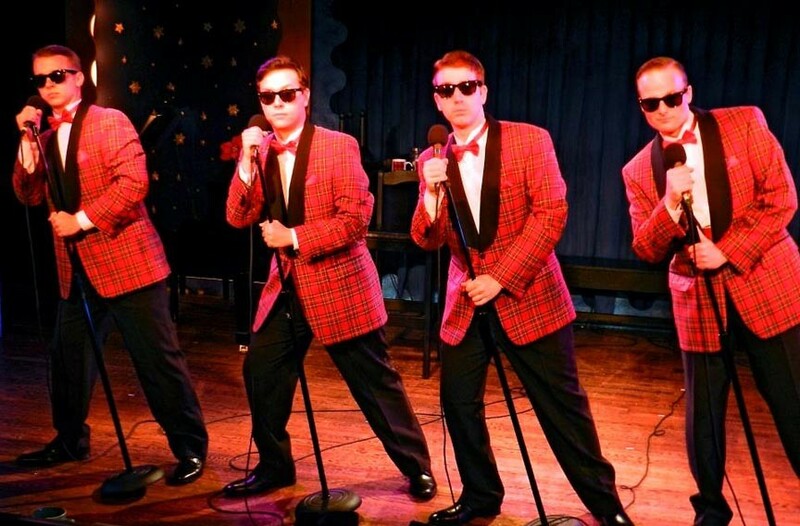 Celestial 1950s boy-band, the Plaids, returns to earth for a special Christmas concert. It’s all about the music in a show that offers lesser-known holiday songs and clever twists on some classics. Through Jan. 9. swiftcreekmill.com. “Forever Plaid: Plaid Tidings,” Nov. 26. Get a jump on gift giving at the Day After Thanksgiving Art Affair at Art Works. There will be a multitude of hand-crafted gifts priced to move at $50 or less to check out. The shopping spree runs from noon- 10 p.m. While you are there playing Santa Claus, you can see new works by Julie Dzikiewicz, Robert Vance, Perry Matthews, Karol Hilker, Elisabeth Flynn-Chapman and the November All-Media Show. 291-1400. artworksrichmond.com. 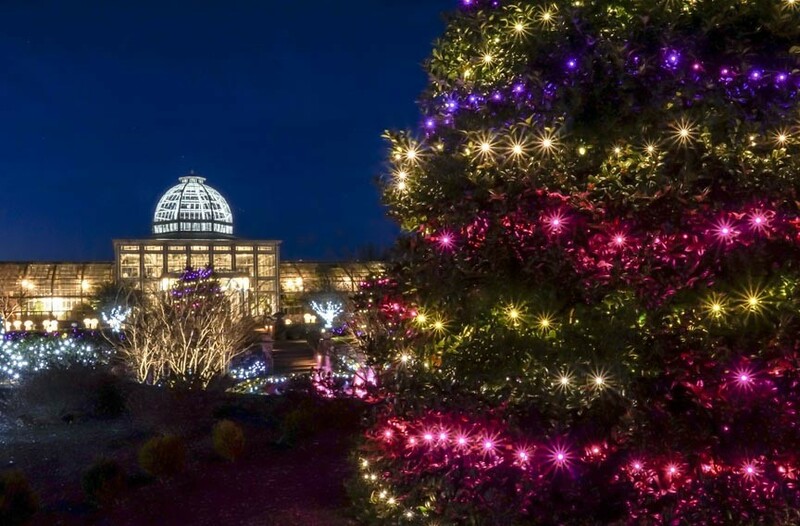 A half million twinkling lights signal the beginning of the holidays at Lewis Ginter Botanical Garden for the Dominion GardenFest of Lights. With botanical decorations, model trains, family activities and everything to get you in the holiday spirit, the illuminations fill the sky with electric light every night of the season except for Christmas Eve and Christmas Day. 262-9887. lewisginter.org. “This Wonderful Life,” the one-man stage adaptation of the 1946 holiday film “It’s a Wonderful Life” starring Scott Wichmann, begins its run of performances at Hanover Tavern. Through Jan. 10. $38. 513-821. virginiarep.org. Seven short plays set in a bar each featuring a character from a cherished holiday film or TV special? I’ll drink to that. It’s the premise of “Christmas on the Rocks,” which takes the stage with boozy splendor at Richmond Triangle Players. $18-$30. Shows run through Saturday Dec. 19. 346-8113. rtriangle.org. The Second annual Art, Craft and Vintage Holiday Market is at Nest-Antiques and Art with potential Christmas gifts created by more than 45 regional artists. Through Dec. 31. 233-0134. The 38th annual Model Railroad Show pulls into the Science Museum of Virginia for a weekend of miniaturized locomotive splendor. Along with the train displays, there will be train rides, demonstrations, experiments and early holiday fun for the whole family. 864-1400. smv.org. Blow Your Own Ornament Workshops begin at the Glass Spot. A Holiday Open House with demonstrations, gift ideas and art sale takes place on Saturday Nov. 28, 11 a.m. to 4 p.m. 228-8868. richmondglassspot.com. The Bizarre Market Holiday opens at Chop Suey Books with a handpicked selection of locally-made arts, crafts and beyond to suit any and all budgets. Through Dec. 24. 422-8066. chopsueybooks.com. Dominion GardenFest of Lights, Nov. 27. The Susan Greenbaum Band Holiday Show at Ashland Coffee and Tea. 8 p.m. $16-$20. The local songbird and the Kings of Swing will be spreading Christmas cheer on Saturday, Dec. 19, with two shows (4 and 7 p.m., $5) at the Henrico Theatre. It’s a Ho Ho Hoey Christmas with Gary Hoey at the Tin Pan. 7 p.m. $35-$40. 447-8189. tinpanrva.com. The 29th annual Tree Lighting with live musical performances, holiday characters, gingerbread holiday displays and refreshments at the Jefferson Hotel. Free. jeffersonhotel.com. The children’s holiday play written by Paul Deiss, “Drifty and the Chocolate Factory,” is at Swift Creek Mill Theatre. $8.75-$10.75 (includes lunch). Through Dec. 22. 748-5203. swiftcreekmill.com. Richmond Tacky Lights tours are available for booking at Winn Bus Transportation. 358-6466. winnbus.com. Holiday-themed performances at noon by the String Group from Collegiate School, St. Gertrude High School Honors Ensemble, Tuckahoe Middle School Chamber Orchestra and other regional singing groups begin at the Jefferson Hotel. 649-4750. jeffersonhotel.com. The Bizarre Bazaar 40th Christmas Collection takes over the Richmond Raceway Complex for four days of shopping, fun and activities. 673-7015. thebizarrebazaar.com. “It’s a Wonderful Life Radio Show,” the family-friendly, Theatre VCU production inspired by the Frank Capra holiday story presented as a 1940s radio broadcast, is at the Singleton Center for a series of weekend performances. $10-$25. 828-6026. It’s not Christmas unless you watch “Miracle on 34th Street.” The 1947 Christmas classic starring Maureen O’Hara, John Payne, Natalie Wood and Edmund Gwenn hits the big screen for weekend screenings at Henrico Theatre. 7 p.m. $1. 328-4491. The Small Works Holiday Show featuring paintings, monoprints, textile work, drawings, pottery, jewelry and more by local artists opens at the Hill Gallery with a reception from 5-8 p.m. Through Dec. 31. 921-1143. hillgallery.net. “Holiday Memories,” the Quill Theatre production of stories by Truman Capote adapted by Russell Vandenbroucke, opens at the Grace Street Theater. $15-$30. Through Dec. 26. 916-929. quilltheatre.org. The Short Pump Symphonette perform at Glen Allen Branch Library. 7-8:15 p.m. Free. First Friday Art Walk in Richmond’s downtown arts district on Broad Street. rvafirstfridays.com. The Grand Illumination of the James Center and downtown Richmond takes place at 5:45 p.m. thejamescenter.com. PDM Productions, the Central Virginia nonprofit organization dedicated to providing children and adults in every community with educational experiences in the performing and fine arts, presents the holiday musical “The Nutcracker Sweet” Friday-Sunday, Dec. 4-6, at Hanover High School. Children from across the Richmond region will take part in the production. Tickets are $18. pdmproductionsva.org. The gospel holiday musical “Sanders Family Christmas” channels the musical spirit of Kris Kringle with weekend performances at Louisa Arts Center Park. $20-$25. 540-967-2200. louisaarts.org. Richmond Choral Society sings in the holiday season at Trinity Lutheran Church. 7-8 p.m. $10-$17.50. They repeat the performance of choral anthems, traditional carols and Christmas spirituals on Saturday Dec. 5 from 4-5 p.m. 270-4626. trinityrichmond.net. The Eighth Annual Jazz Nativity be-bops Santa for three days of performances at Gayton Baptist Church. Proceeds benefit the non-profit Feed My Starving Children. $10-$40. 360-2801. jazznativity.gaytonchurch.org. The Richmond Symphony, Richmond Symphony Chorus and a cast of featured soloists perform “Messiah,” the English-language oratorio composed in 1741 by George Frideric Handel, at Carpenter Theatre at Richmond CenterStage. 7:30 p.m. $12-$50. 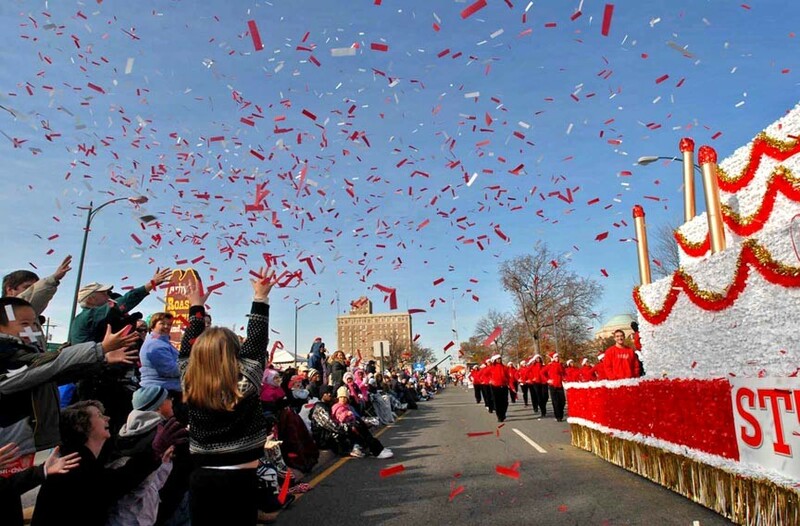 32nd Annual Dominion Christmas Parade, Dec. 5. Downtown Richmond welcomes the impending arrival of ol’ Saint Nick at the 32nd Annual Dominion Christmas Parade, starting at 10:15 a.m. the Science Museum of Virginia. There will be floats, balloons, marching bands, dance troupes, Darth Vader, the Harlem Globetrotters, Legendary Santa and more. richmondparade.com. 17th Annual Tree Lighting takes place at Cultural Arts Center at Glen Allen. Coinciding with the lighting of the 60-foot cedar Christmas tree is the GrowRVA holiday market and other festive, ho-ho-ho activities. 2-7 p.m. Free. 261-2787. artsglenallen.com. Andrew Peterson’s “Behold the Lamb of God” at the Altria Theater. 7 p.m. $15. Robin and Linda Williams and Their Fine Group bring melodic holiday cheer to Ashland Coffee and Tea. 8 p.m. $20-$25. ashlandcoffeeandtea.com. Candlelight tours into Christmases past begin at the Berkeley Plantation. 2:30-3:30 p.m. $42. 466-6018. berkeleyplantation.com. Merry Christmas Darling: Carpenter’s Christmas, a night featuring the music of the American soft music sibling duo performed by Michelle Berting Brett and special guests, is at the Beacon Theater in Hopewell. 7:30 p.m. $20-$55. thebeacontheatreva.com. Hardywood Park Craft Brewery releases its seasonal Gingerbread Stout with culinary offerings from Shamasuki, NYStyle Food Richmond, Slideways Mobile Bistro, Bonbontruck, Cheezilla’s Grilled Cheese, De Rochonnet Delights Chocolatier, the Dog Wagon and BoDillaz and a juried selection of handmade gifts presented by the Richmond Craft Mafia. Drinking, eating and shopping are what the season of Santa is all about. 11 a.m.-9 p.m. Free. 420-2420. hardywood.com. Danú bring an Irish perspective to the holiday merriment with the concert, “Féile Na Nollag (A Christmas Gathering),” at Camp Concert Hall at the University of Richmond. 7:30 p.m. $10-$36. 289-8277. “Let It Snow,” a night of Christmas classics by the Richmond Symphony and Richmond Symphony Chorus, is at the Carpenter Theatre at Richmond CenterStage. 7:30 p.m. $10-$78. A Sunday matinee is at 3 p.m.
A holiday selection of works by Thomas Van Auken, Lisa Taranto, Ted Randler and Andre Shank and solo exhibition by Richmond painter Scott Phillips opens at Eric Schindler Gallery. 7-10 p.m. Through Dec. 23. 644-5005. ericschindlergallery.com. It’s a big band Christmas with Joe Enroughty and His Royal Virginians at Christ Ascension Episcopal Church. 3-5 p.m. $10. The band brings its brassy holiday cheer to Balliceaux on Sunday, Dec. 20. guylombardomusic.com. The Church Choir, One Accord, Handbells and Youth Girls’ Ensemble perform at the holiday-themed Dance and Sing Choir Concert at the First Baptist Church. 7 p.m. Free. 355-8637. fbcrichmond.org. Knuckles Cracker: A Roaring, Ragtime, Retelling of the Nutcracker retells the holiday tale with risqué Rubenesque curves and playful, adults-only teases at the Byrd Theatre. 8 p.m. $15-$50. 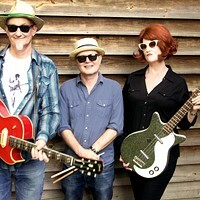 byrdtheatre.com. Joshua Allen plays a selection of traditional songs Christmas songs at the Fairfield Area Library. 7-8:30 p.m. Free. Denise King jazzes up the holidays with two shows at Capital Ale House. 7 and 9:15 p.m. $25-$30. Presented by the Richmond Jazz Society. 780-2537. capitalalehouse.com. Mrs. Claus comes down from the North Pole to tell stories at the Varina Branch Library. 7-7:45 p.m. Free. 290-9800. Trans-Siberian Orchestra: The Ghosts of Christmas Eve plays the Richmond Coliseum. 7:30 p.m. $46.50-$65.50. 780-4970. richmondcoliseum.net. The Church Hill Candlelight Walk and Caroling begins at 7 p.m. churchhill.org. “Have Yourself a Merry Little Christmas: An Evening with Connie Champagne as Judy Garland” is at Richmond CenterStage for two weekend performances. 7:30 p.m. $25-$50. 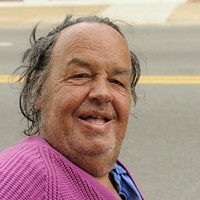 richmondcenterstage.com. The 2003 Will Farrell holiday chuckle fest “Elf” plays at the Henrico Theater. 7 p.m. $1. A Saturday matinee screening is at 2 p.m. 328-4491. The Richmond Ballet’s annual performances of “The Nutcracker” opens at Carpenter Theatre at Richmond CenterStage. $20-$125. Through Dec. 23. 592-3330. richmondcenterstage.com. 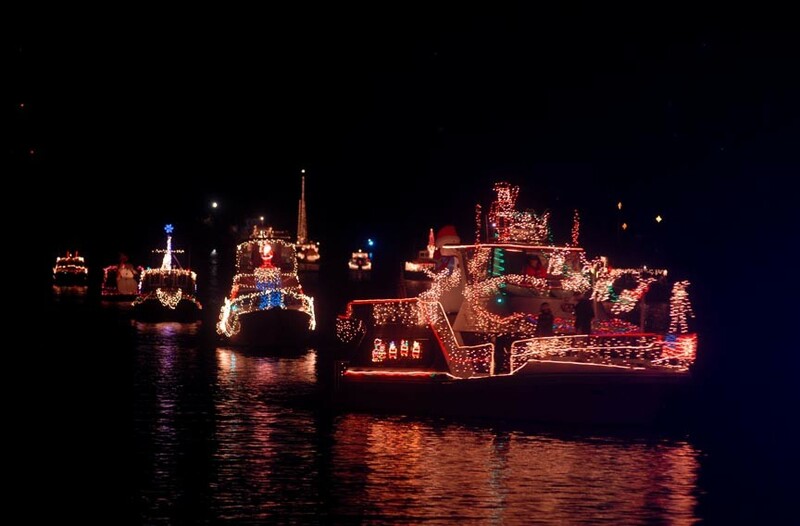 The 23rd annual James River Parade of Lights, Dec. 12. The 23rd annual James River Parade of Lights runs from 6-9 p.m. with viewing locations at Libby Hill and Dock Street in Richmond, Osborne Park and Boat Landing in Henrico County, Henricus Historical Park and Dutch Gap Boat Landing in Chesterfield County. 717-6688. jrac-va.org. The annual Church Hill Holiday Ball takes place at the Masonic Lodge from 7-11 p.m. $45. churchhill.org. The Fan Holiday Tour takes place from 1-6 p.m. on Saturday and Sunday. $45. fandistrict.org. Christmas on MacArthur and Santa Parade takes over the 400 block of MacArthur Avenue with high school marching bands, antique cars, live entertainment, visits with Santa and other holiday merriments. 11 a.m.-4 p.m. Sponsored annually by the U.S. Marines, attendees are asked to bring a new, unwrapped toy donation for Toys for Tots. Call Rich’s Stitches at 262-3477 or email Mike LaBelle at thetaz23227@yahoo.com. Go back to the 18th century during the Colonial Christmas Celebrations at Patrick Henry’s Scotchtown. The two-day event features tours, seasonal music, workshops, food and activities to help you and all members of the family to immerse themselves in bygone Christmas traditions. 10 a.m.-9:30 p.m. Continues Sunday Dec. 13, 1-5 p.m. Free. 227-3500. Make We Joy, a Christmas concert by the James River Singers led by David Pedersen, is at the Trinity Lutheran Church. 7-8 p.m. $5-$15. 270-4626. trinityrichmond.net. A Richmond Big Band Christmas featuring a who’s who of the Richmond jazz scene playing modern arrangements of Christmas classics is at the Singleton Center. Proceeds benefit Church Hill Activities and Tutoring. Shows are at 4 and 7:30 p.m. with Sunday Dec. 13 concert at 4 p.m. $13-$15. rvachristmas.com. Church Hill Holiday House Tour from noon to 5 p.m. churchhill.org. The 29th annual Court End Christmas features all the Richmond downtown museums throwing a great big holiday hoedown with complimentary shuttle rides between the sites. Participating museums include the Valentine, the Museum and White House of the Confederacy, the John Marshall House, St. Paul’s Episcopal Church, the Virginia State Capitol, Virginia’s Executive Mansion, St. John’s Church, the Egyptian Building, Monumental Church and the Beers House. The historical-based Santa soiree runs from noon-5 p.m. Free. 649-0711, ext. 301. thevalentine.org. Christmas with the Richmond Pops and friends at the Altria Theater. 7:30 p.m. Free. 646-0546. altriatheater.com. American folk legend Judy Collins performs her favorite songs of the season at Louisa Arts Center Park. The show is so popular that they added a second date after her Dec. 10 performance sold out. Get your tickets soon. They won’t last long. 7:30 p.m. $35-$50. 540-967-2200. louisaarts.org. Richmond group Flashlight Tag cultivates yuletide tidings at Ashland Coffee and Tea with Sarah White and Jack Brush. 8 p.m. $10-$12. ashlandcoffeeandtea.com. It’s a not-so-silent-night with California punk legends the Dickies and Richmond rockabilly rockers Chrome Daddy Disco at Bandito’s Burrito Lounge. 9 p.m. Free. 354-9999. banditosburritolounge.com. Presented as part of the Dr. Bob Singer Senior Series, the American Youth Harp Ensemble pulls its acclaimed holiday strings at Twin Hickory Area Library. 2 p.m. Free. harpensemble.org. “Polar Express,” the 2004 computer-animated Christmas musical directed by Robert Zemeckis, warms hearts with frigid holiday cuteness with two screenings at the Henrico Theatre. 10 a.m. and 7 p.m. $1. 328-4491. Richmond favorites the Taters and the Grandsons team up for a Christmas show at Ashland Coffee and Tea. 8 p.m. $15-$20. 798-1702. ashlandcoffeeandtea.com. Holiday Jazz with Johnny Long at Fairfield Library. 7-8:30 p.m. Free. 290-9800. New Year’s comes early for Grateful Dead fans with the Dark Star Orchestra playing two nights of long, strange tripping at the National. 7 p.m. $35-$30. The family-friendly celebration “Noon Year’s Eve” is at the Science Museum of Virginia with activities, demonstrations and everything else you need to end the year of a high note. 10 a.m.-1 p.m. $10-$11. 864-1400. smv.org. Moving from Brown’s Island, RVA NYE, the massive blowout organized by publisher and chief executive of RVA Magazine R. Anthony Harris, ends 2015 in the climate-controlled confines of the Siegel Center. Rvaye.co. Richmond good-time hustlers the Party Liberation Front present “Decemberween 10: New Years Eve” at Diversity Richmond. It will feature indoor and outdoor DJ sets, dance performances, interactive entertainment and surprises. 8 p.m.-4 a.m. $20-$30. 353-8890. diversitythrift.org. Ring in the New Year at the Yacht Rock Prom at the Broadberry with Three Sheets to the Wind. 9 p.m. $35-$75. 353-1888. thebroadberry.com. End of the year with a night of bluegrass courtesy of Richmond’s own Jackass Flats at the Camel. 8 p.m. $25-$30.